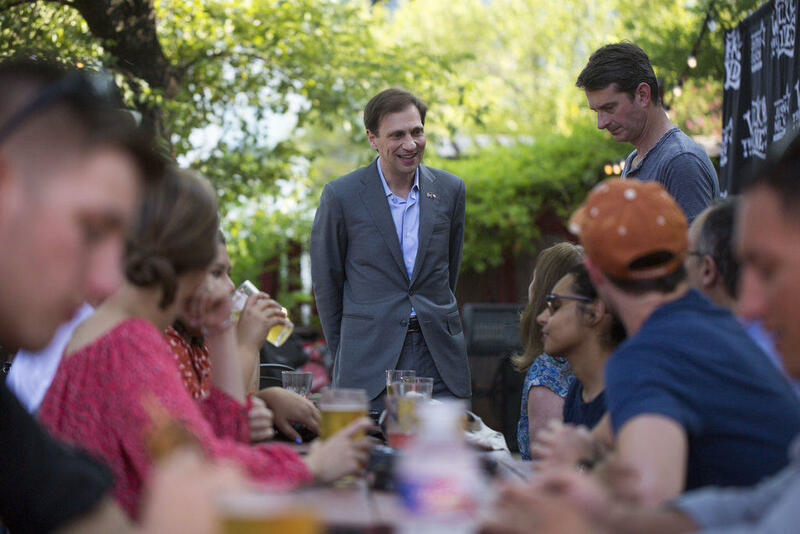 Texas Attorney General Candidate Justin Nelson speaks at the Shangri-La bar in Congressional District 35 as part of a pub crawl across three congressional districts in downtown Austin - the Pub Crawl to End Gerrymandering. "The problem for Democrats is that, collectively, all of the statewide officials have got something like $80 million on hand. And Gov. Abbott has just purchased about $16 million in ads," Rottinghaus says. "So it's going to be difficult to get out from under the general scope of the Republicans' advantage." "Nelson's objective here – which he might be able to accomplish, given that he's raised a fair amount of money, and polls show that things are fairly close in that race – is [to inform voters] that Paxton does have these issues and that if people can recognize them, it might be that this is a closer race than people assume," Rottinghaus says. The combative and outspoken Miller faces Kim Olson, a retired Air Force officer who Rottinghaus says "is the spitting image of Ann Richards." "When these two get together, I think it will be really interesting," Rottinghaus says. "This is a winnable match on paper for Democrats – the no-nonsense colonel versus the gaffe-prone cowboy." Olson has outraised Miller financially, and Miller has had ethical lapses. He's also famously "tight as a tick" with President Donald Trump, Rottinghaus says, which could give moderates pause. In Houston's 7th district, John Culberson faces lawyer Lizzie Pannill Fletcher. He says voters there are fairly moderate, politically, and that the election could be a referendum on government response to Hurricane Harvey. "[Fletcher] presents herself as kind of more moderate in the Democratic Party," Rottinghaus says. 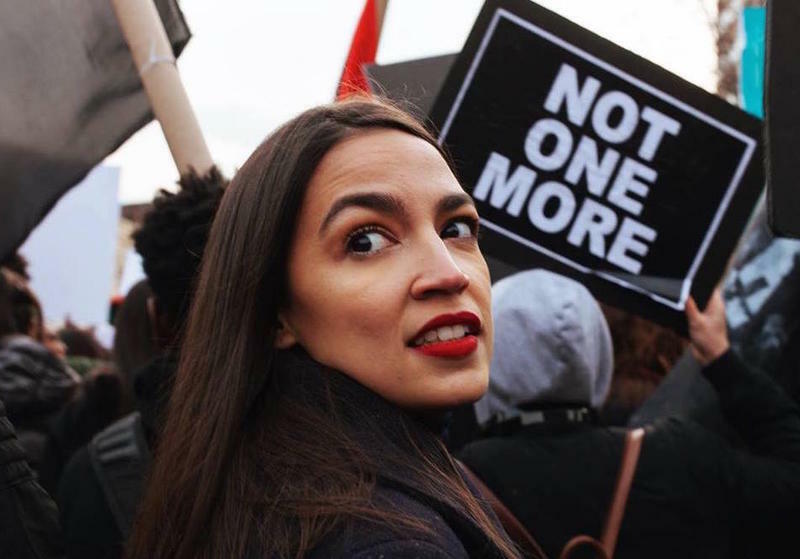 "It's an interesting race because it matches up the new face of the Democratic Party – it's younger, it's more racially and ethnically diverse – versus the Republican Party, which is seen to be a party of older white people," Rottinghaus says. 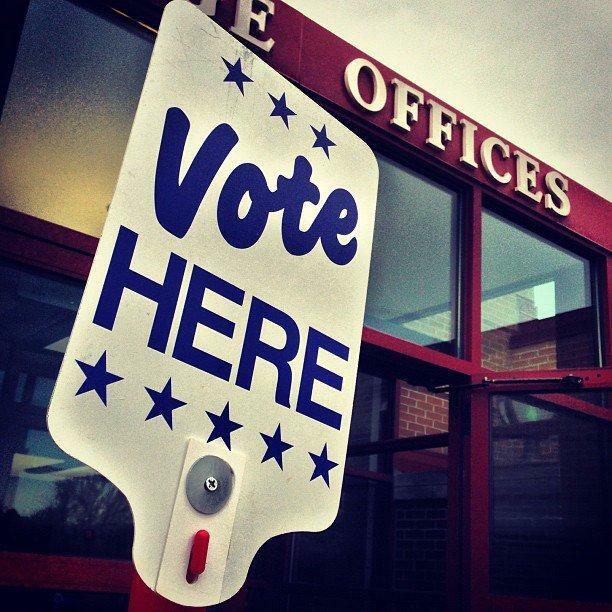 Texas hosted over 30 runoff elections across the state. The only race that all Texans voted on was the Democratic candidate for governor, which was won by Lupe Valdez. Below are the results from races Texas Public Radio followed throughout the night on May 22, 2018.